With father’s day just around the corner, it’s time to celebrate dad. 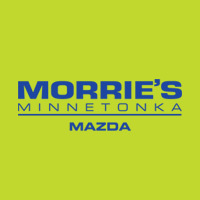 If you’re struggling to come up with some gift ideas this year, we can help. 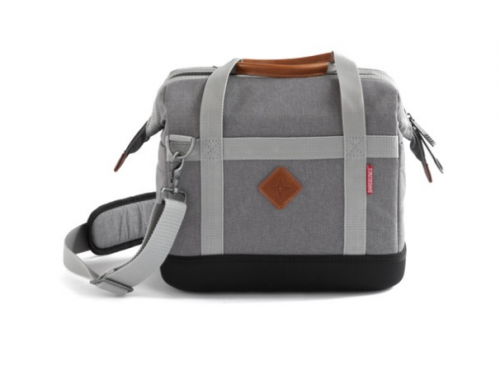 We’ve scoured the internet and come up with a list of great gifts that dear ‘ol dad will appreciate, even if he’s notoriously hard to shop for. And remember, if all else fails I’m sure pops would love to spend some quality time with you! 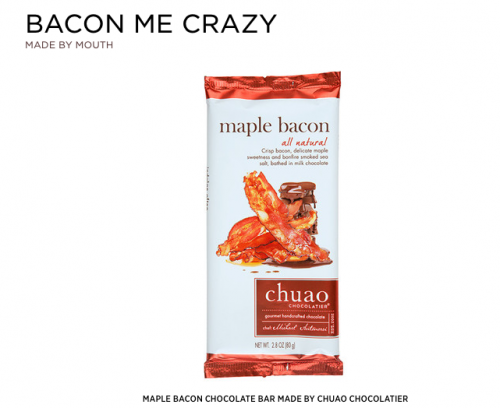 Bacon Me Crazy is a gift bag of delicious, bacon-y treats such as bacon chocolate, bacon mayonnaise, bacon kettle corn, and garlic-cured bacon strips. If you want to get him the gift that keeps on giving, they have a monthly subscription service as well! Maybe dear old dad likes to go fishing or camping or tailgating. Maybe he just wants something that looks cool while keeping his favorite drinks even cooler. Well here you go. What better way to keep dad’s personal effects organized on trips than with a waterproof inner tube toiletry bag? 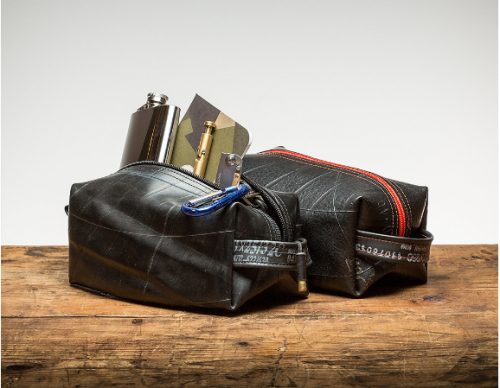 Made in the US with recycled inner tubes, this toiletry bag is tough and looks cool, just like dad! 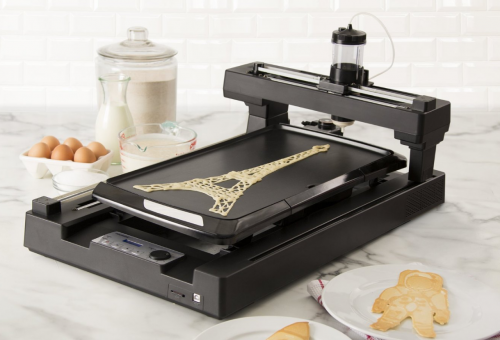 Not only can you make your dad breakfast on Father’s Day, but now you can make him pancakes that look like that rad ’67 Mustang he had back when he was younger, had a full head of hair, and didn’t need a safe, practical boring car to take you to soccer practice in. 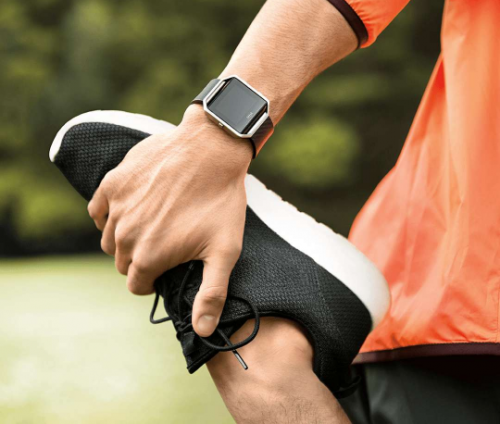 Fitbit has been making some of the best fitness tracker bands and dongles for years, and now they’ve got the Blaze smartwatch that can track dad’s favorite routes for cycling or running, track his heart rate, and even provide training and coaching, all while looking sharp enough to wear every day. This is the perfect gift for a car-loving dad who loves to read to his kids at night. 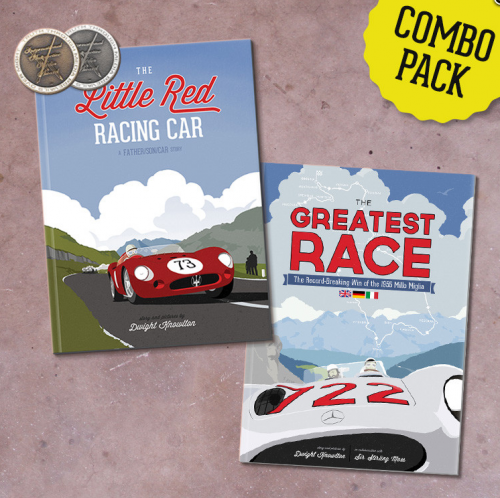 These two books chronicle legendary race cars and their drivers with kid-friendly pictures and language that’ll make it fun and interesting for dad and child alike! Not everyone was a perfect little angel growing up, and for some of us, dad never lets us forget that. 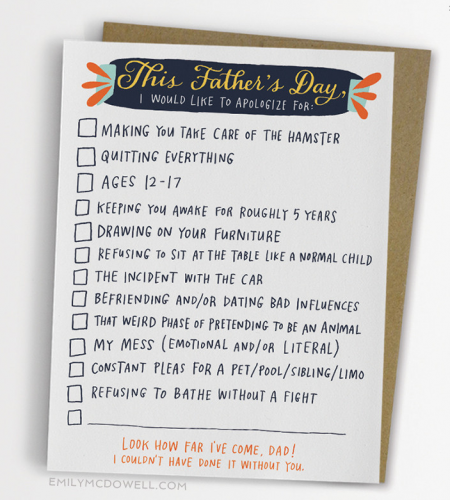 If you’ve always wanted to apologize to dad for how you behaved growing up but never knew the right way to say it, this might be the perfect card to get him this year.